A Certified Aquascape Contractor goes above and beyond the customer’s expectations. 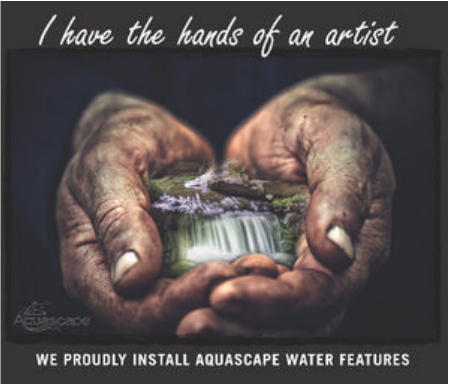 When you make the decision to choose a Certified Aquascape Contractor, you can feel comfortable knowing you are receiving the most qualified contractor to build your own beautiful backyard oasis, ensuring you have the best the industry has to offer. Why Hire a Certified Aquascape Contractor? What is a Certified Aquascape Contractor (CAC)? Choosing a Certified Aquascape Contractor (CAC) is one of the best decisions you can make when looking to install your own backyard paradise. Certified Aquascape Contractors (CAC) are the most qualified and informed pond installers in the water gardening industry. When you choose a Certified Aquascape Contractor (CAC) you are choosing 'The Best of The Best'! All CACs are required to attend continual training and education seminars and maintain a proven record of outstanding work and dedicated customer service and support. All contractors who wish to become Certified Aquascape Contractors (CAC) must complete an in-depth application that includes referrals, pictures of completed ponds and waterfalls, and general questions about their business and water gardening philosophy. These applications are then reviewed by Technical Agents at Aquascape Inc. and a review board made up of other established CACs. •Training - All CACs are trained and educated by Aquascape, Inc.
•Quality - A CAC's workmanship must be approved by Aquascape, Inc.'s own construction crew. •Knowledge - A CAC is knowledgeable and trained on all Aquascape products and has the ability to answer any questions you may have with your pond. •Customer Service - CACs must provide outstanding customer service. •Dedication - These installers are established, dedicated companies in the pond building profession. •Continued Education – They must attend 'Build-A-Pond Days' and other pond-related seminars throughout the year. Our service area includes all areas of Central Florida.